On Monday the new owners of the ice cream spot, formerly Maggie Moos sought your help in a coming up with a new name. Well, you came up with a good one and they’ve enthusiastically embraced it. 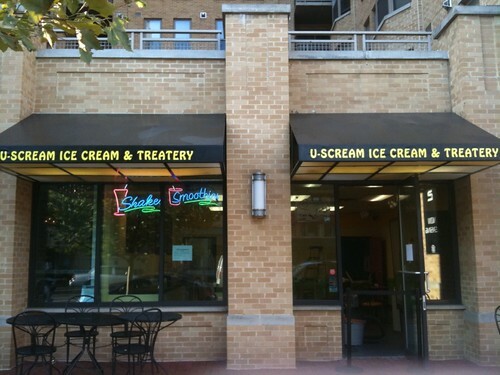 The new spot will be called U Scream Ice Cream. As mentioned earlier, the folks also own the recently opened Aroma Bakery & Market across the street on U. Well they also seek your help in how to make the spot better. What would you like to see improved? More breakfast options? More sandwiches? More bread? You name it and they’ll definitely listen. So cool that they’ve renamed the spot U Scream Ice Cream! Nice work.